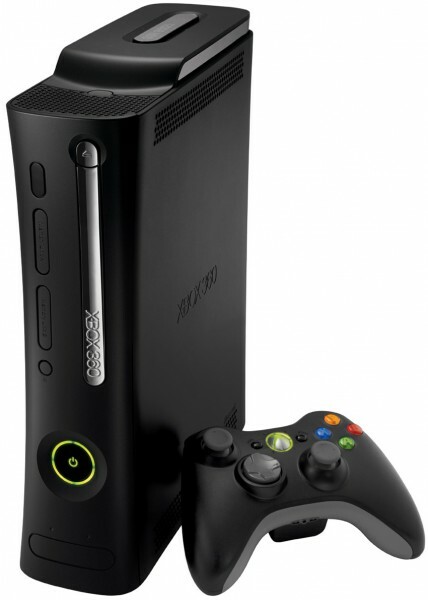 Yesterday evening, Microsoft confirmed rumors of a new black Xbox 360, when it announced the Xbox 360 Elite. The initial details on the device further confirm the rumors that this new version of the 360 will come equipped with a 120GB hard drive and a high-definition multimedia interface (HDMI) port. However, besides those two additions and the fact that it’s black, there appears to be little else that’s new. The 120GB hard drive will also become available, separately, to customers of the original Xbox 360 for an estimated retail price of $179.99. The average gamer will probably have to decide whether they’d prefer three more games or more storage capacity. I’d rather take the games, but of course this all depends on what else you might use the console for. Obviously, if you’re a customer of the LIVE Marketplace video store the need for extra storage is a no-brainer, but for those of us who only use the 360 as a gaming platform the extra $180 might be better spent elsewhere. The fact that this new version will feature a HDMI port means that is capable of providing a slightly crisper image, and a new source of digital audio output. It would also enable the 360 to play along with digital displays if Microsoft ever decides to enable HDCP, which is a protocol that would verify that the connection between the display and the console is not diverted to some sort of recording device. Contrary to popular belief, HDMI is not even necessary in order for the 360 to display 1080p “True” HD signals, the original Xbox could do that as well for its component output. So, in terms of benefit for the consumer, HDMI does little. The 360 Elite really isn’t so “Elite” if you considers that there is still no HD-DVD support built-in, and that customers who would want this will need to purchase the external player, which only comes in white. Furthermore, getting the 360 Elite together with the HD-DVD player would costs as much, if not more than, the 60GB Playstation 3. But then again, the average consumer probably doesn’t care that much for the HD Format War and as such will only pay the $479.99 (U.S. MSRP) for the 360 console, which is still less than the $599 for the PS3. – In stores on April 29th. Whats different about this 360?